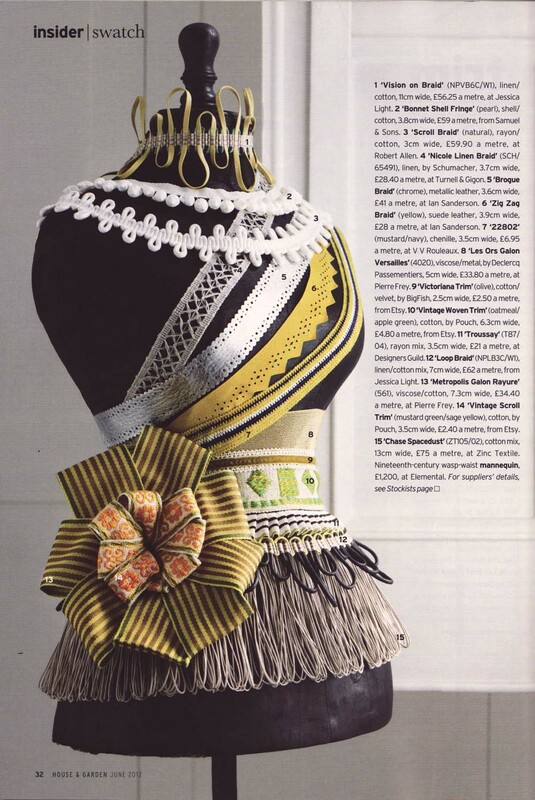 I was really pleased to see the finished results of a photo shoot featuring my vintage trims in House & Garden Magazine this month. 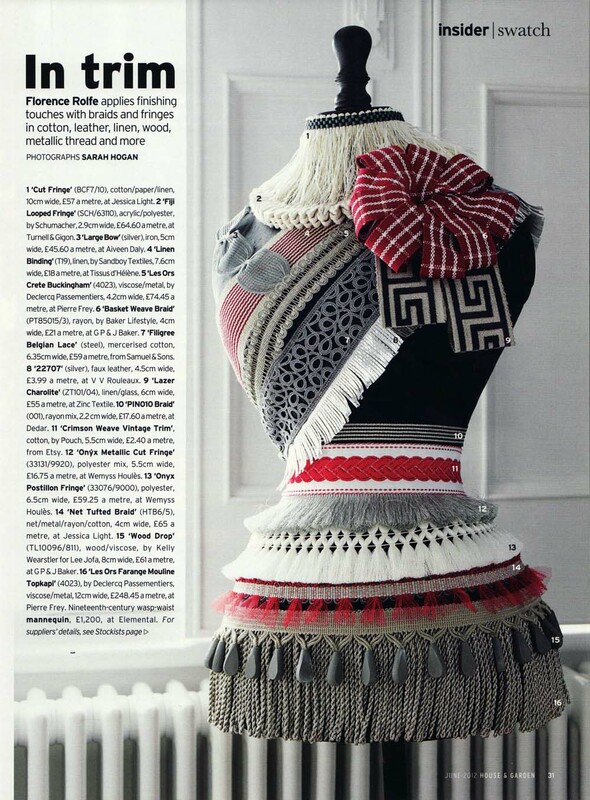 To celebrate being featured in House & Garden, I am offering a 20% discount on all vintage trims in my Etsy store. 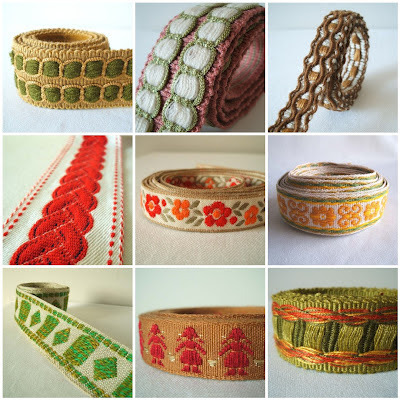 You can see my full range of vintage trims here. I love the way the trims have been styled, especially the corsage effect using my vintage scroll trim in mustard yellow and sage green in the second photo. Crimson weave vintage fabric trim is placed around the waist of the mannequin in the above photo. My vintage woven trim in oatmeal and apple green is around the waist of the mannequin in the second photo and the corsage/rosette on the hip features my vintage scroll trim in mustard yellow and sage green. 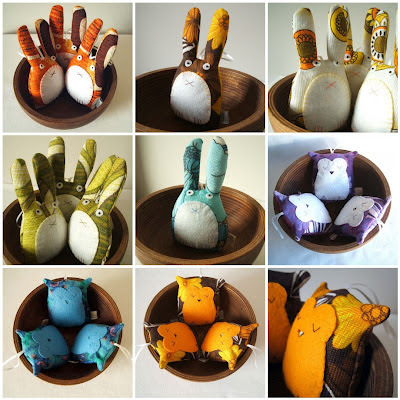 To celebrate the Diamond Jubilee I'm offering a 20% discount in my Etsy store, just use the code QUEEN60 at checkout!